Their providers have highlighted their achievements in both Academic Achievement and Commitment to Study as being outstanding for a number of reasons and so we wanted to take the opportunity to recognise their remarkable accomplishments by inviting them along to collect their award. 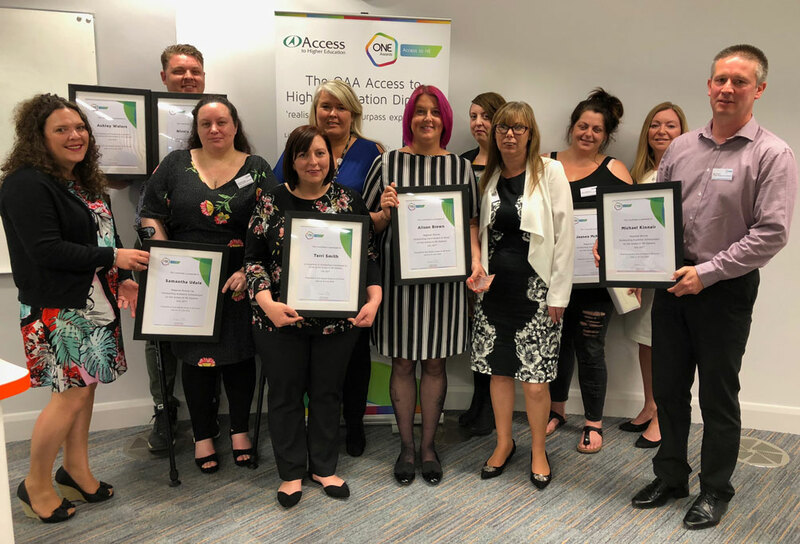 The Awards were presented by Julie Mizon, Access Manager at the Quality Assurance Agency for Higher Education (QAA) the regulator for the Access to HE Diploma. Michael (pictured right) is currently enjoying studying primary school teaching at the University of Sunderland.Michael graduated from Redcar and Cleveland College with 45 credits at distinction. In all access units Michael excelled, the quality of his work and attention to detail was outstanding. What was most striking was the consistency of quality across all units and assignments. All tutors looked forward to reading Michael’s assignments; his ideas and arguments were fluent and coherent and he had a rare ability to develop his thoughts further making interesting predictions, considering implications and applying these to different contexts. In psychology he applied cognitive theories effectively to learning and teaching practice. In sociology his ability to apply sociological theory and research to inequalities in society was just like listening to a “Question Time” debate.In history he was enthusiastic and willing to embrace new ideas and engage in thoughtful and reflective discussion. His maths tutor was eager to add his endorsement for Michael, as a very ambitious and determined student. Michael took a great pride in not only the content of his assignments, but also in the presentation of them, producing front covers for essays and colourful posters, thoughtfully and appropriately laid out. 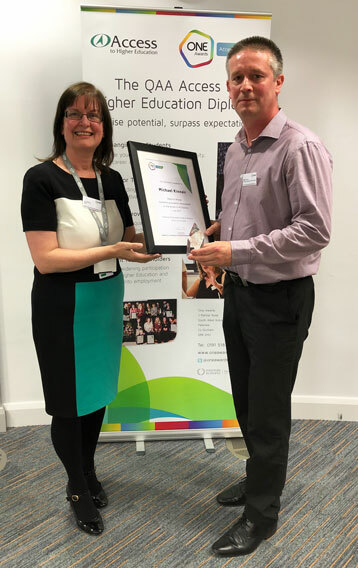 At the beginning of the course Michael was elected unanimously by fellow students to the role of diploma ambassador and Access Course representative, this role involved acting as spokesperson for the “student voice”, which involved regular meetings with the executive management and College governors. His effective communication skills and ability to reason and work as part of a team provided an excellent channel for students’ views. Michael was asked many times by other students “what is the secret?” Being modest Michael would reply, “commitment”. Michael’s commitment, intelligence and his personal qualities of kindness, honesty and modesty will indeed, make him an exceptional primary school teacher. Alongside studying for his Access diploma Michael also worked voluntarily for his local primary school, where he became a very valued member of the team and we have invited him back to College to mentor our current students. One student, who had just achieved a pass and merit grade for her first assignment, was so inspired after meeting Michael, she proclaimed “instead of going home now, I am off to the LRC to work on getting distinction grades just like him”. 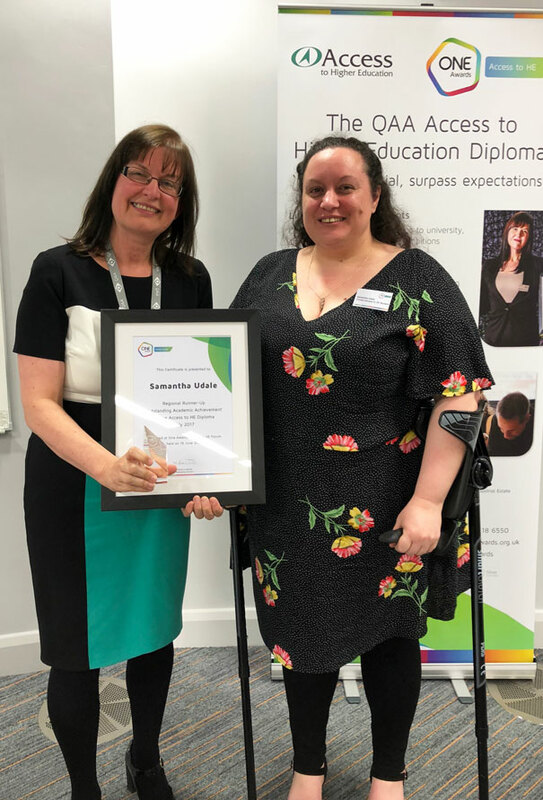 Samantha was a mature student who returned to learning after a number of years out of education.Sam achieved distinctions in all her graded units. Her work was always beautifully presented and of an incredibly high academic standard. As a reflective student, Samantha always actively listened and responded to feedback in order to improve her work.The time she gave to her studies was inspirational and she was an avid reader throughout the course, which helped to expand her knowledge and ideas.The level of research that Samantha conducted was outstanding and this gave her work breadth and depth.As her assessor, her work always made me smile as her progress was so evident with every assignment she submitted. This level of commitment and achievement was particularly impressive in light of her personal circumstances. Her daughter was studying A-Levels while Samantha was studying, her partner has cerebral palsy and she herself had a severe medical condition which meant that she was in extreme discomfort and pain throughout periods of the course and she attended college in a wheelchair. Despite this she maintained her enthusiasm and ‘can do’ approach, excellent organisational skills and meticulous planning. Overall, Samantha’s academic achievement was outstanding, leading to successfully gaining her university place in Biomedical Science. Her journey through the course, positive attitude towards her studies and academic achievements were truly inspirational. From the start of the course Alison would be at College by 8.00am working on her assignments and when at home she would be working whilst receiving dialysis for kidney failure. Unfortunately, whilst on the course her health declined even more and she required several long stays in hospital and surgery. 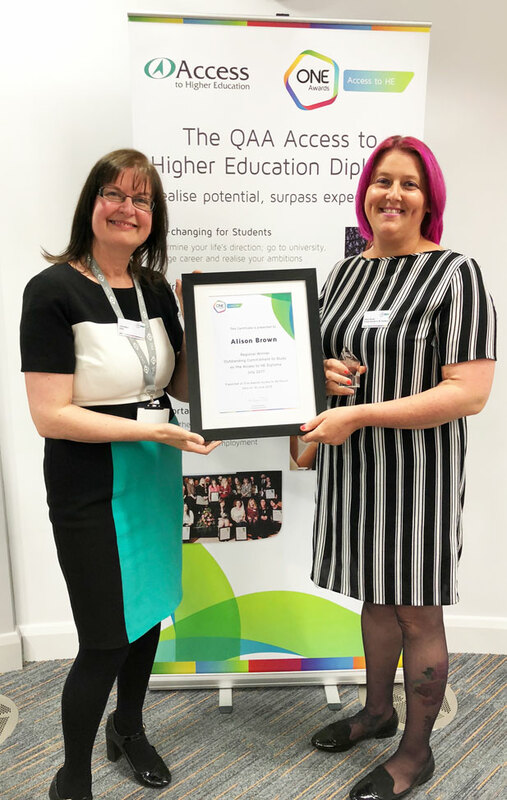 Once again, Alison demonstrated her outstanding commitment to achieving the course and completed work in hospital, utilising Moodle and emailing lecturers. Alison taught herself several units and declined the mitigation that would usually be permitted as she did not believe that her circumstances warranted “special treatment”. In these units, her work was outstanding and she achieved distinctions, which clearly exceeded all expectations. Through all the adversity she endured whilst on the course Alison’s outstanding commitment to her studies saw her achieve her Diploma with four distinctions and a merit for her graded units. Alison is a truly deserving nominee for this award. Not long after starting the course Joanna found that she was pregnant and worked out that she would need to get all of her work in before the due date.This was not to be as Joanna had a very difficult pregnancy forcing her to be supported from home through distance learning from Easter onwards as she needed complete bed rest.Her son was also born prematurely and was kept in intensive care, due to the circumstances she was able to secure an extension from One Awards to submit her completed work but at no point did she ever feel like quitting. Joanna worked extremely hard to secure four distinction grades and one merit, which was way beyond what would be expected given the circumstances. By completing the Access course she also exceeded the entry requirements to study Adult Nursing at Teesside University. 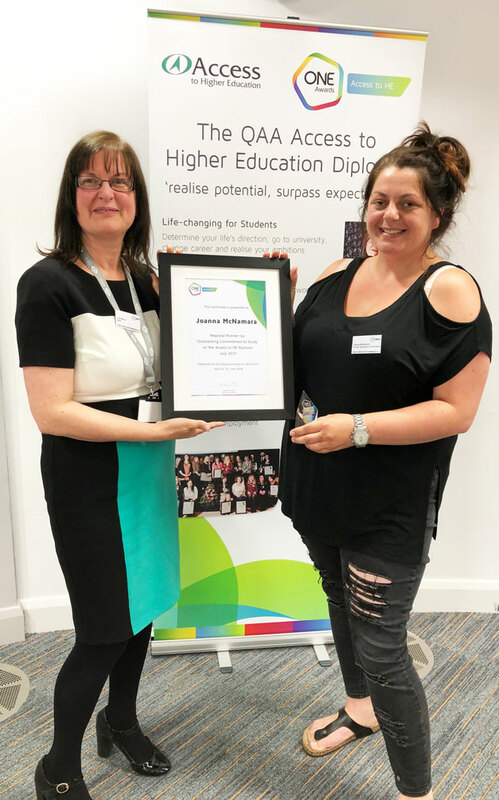 Joanna is now able to pursue her career ambitions and will be a fantastic advocate, not just for the Access course at Middlesbrough College, but also for One Awards. Terri first came to the College in September 2015 when she enrolled on the NOCN Pre Access course. She was a very nervous and unconfident person with a perception that she was too old to achieve, having spent years raising her family. Terri proved to be a pleasant and motivated student who settled easily into college, building an excellent rapport with her peers and tutors. She commenced work experience in the health care sector which enabled Terri to further develop excellent interpersonal skills and a day to day insight into the role of a healthcare professional. Once Terri had successfully completed the Pre Access course she progressed on to the Access to Higher Education Health Diploma. 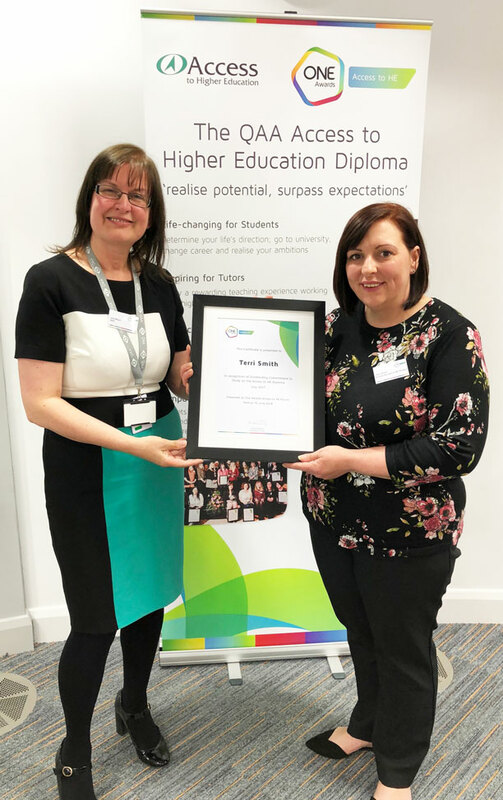 Terri became a keen member of the group with a positive attitude and excellent organisational skills which enabled her to manage family and college commitments and complete her assignments on time and to a high standard. Over the last few months of the course Terri experienced some very harrowing personal family problems. She could have easily given up, but she tackled the problems head on, taking care of other family members’ children, whilst also looking after her own family. She was “a rock” and stayed strong for others. Even though we had tears in tutorials at times she always put a smile on her face, determined to keep going. Terri was offered a place at Teesside University and started her HE course in September, gaining valuable knowledge and experience to become an adult nurse. Another chapter of her life is about to start and I wish her every success, she deserves it!